First we had Apple’s new iPhone turn up in a bar, and now it looks like Motorola’s latest handset, the Droid Shadow has turned up in a gym. 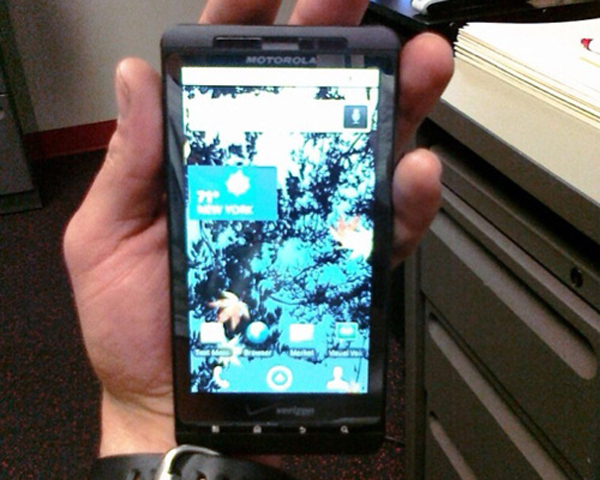 It looks like the Droid Shadow will be a Verizon exclusive and will feature a 4.3 inch display. Other specifications include an eight megapixel video camera that is capable of shooting HD video in 720p, and it will probably come with the latest version of Google’s Android OS, Android 2.2 (Froyo). Other possible specifications include 16GB of storage, a Snapdragon processor, and also a HDMI port. It looks like the Motorola Droid Shadow could be announced in June or July. As soon as we get some official specifications and details we will let you guys know. Have a look and our article on Android vs iPhone to see which smartphone and mobile platform is best for you.